What is superannuation, when was it introduced and who gets it? 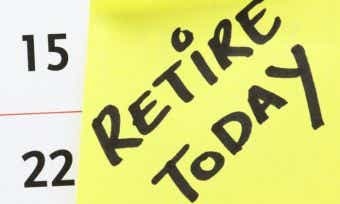 The purpose of Superannuation in Australia is to invest a portion of your income in a range of assets until you retire. 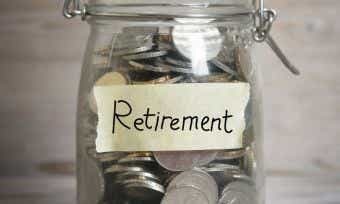 Superannuation then provides an income for retirement that substitutes or supplements the age pension. The income earned by your superannuation investments are then taxed concessionally. As long as you continue to work and make regular payments to your super, your investment will grow until the day you retire or until you reach a certain age. Superannuation is designed to give a sufficient nest egg to retire comfortably on – according to The Association of Superannuation Funds of Australia’s (ASFA) Retirement Standard, a couple expecting a comfortable retirement will need an average of $60,457 a year. So it’s well worth ensuring that your superannuation balance is on track to meet your retirement expectations. The following table contains details of the superannuation funds rated by Canstar based on someone aged 30-39 with a balance between $55k and $100k. This table has been sorted by seven-year performance (highest to lowest). What is the Superannuation Guarantee (SG)? The Superannuation Guarantee (SG) is the compulsory 9.5% superannuation contribution that employers must pay into a superannuation fund for their employees. This 9.5% contribution is calculated on ordinary time earnings, and generally, employees are eligible to receive SG from their employer if you earn $450 or more in a calendar month. If you are under 18 years old, you may need to work more than 30 hours per week to be eligible for SG payments. If you are on leave without pay you may not be eligible for SG payments. There are a few basic superannuation funds with different pros and cons. Understanding the different types will help you to choose the fund that’s right for you. Intended to eventually replace existing default accounts offered by super funds, MySuper is a scheme from the Australian Government where employees are offered effective, low-fee super funds as their default option. Fees on MySuper funds are often restricted to covering the cost of producing their service only, which includes administration fees and investment fees. You can read more about MySuper here. Industry super funds were originally developed by trade unions and industry bodies to provide specific superannuation products to members of those industries. Nowadays, many of them are now open to the public, but they have retained their non-profit, member first ownership models. Although these can vary across providers, supporters of industry super funds claim that they have lower fees and higher performance figures than retail super funds, which we discuss below. You can decide this for yourself by reading our articles on the lowest fee and highest-performing super funds. Retail funds are usually run by financial institutions or investment companies. Generally, anyone can join a retail fund and they often have a large number of investment options. You can either apply to join a retail fund directly, or they may be recommended by your financial adviser who may be paid for their advice by fees. Cost can vary significantly between retail funds so it is worth carefully comparing your options. Corporate or employer super funds are arranged by employers for their employees. Some larger corporate funds are ’employer-sponsored’ funds where the employer also operates the fund under a board of trustees appointed by the employer and employees. An employer super fund will be that companies nominated default fund when hiring a new employee. If the employee chooses not to go with their own super fund they will be registered with the default corporate option. A high-performing, low-cost employer super fund could be a powerful tool for attracting new talent. Public sector funds were created for employees of Federal and State government departments. They commonly have limited investment options, lower fees or MySuper options and a member-first profit model. Many long-term members have defined benefits, while newer members are usually in an accumulation fund. A self-managed super fund is a superannuation fund that you can manage yourself, which is different to a regular super fund which is controlled by a fund manager. You can set up your own private super fund and manage it yourself, but only under strict rules regulated by the Australian Taxation Office (ATO). An SMSF can have between one to four members, and each member acts as a trustee. SMSFs can be suitable for people with a lot of super and more experience in matters of finance and investing. You can find out more about self-managed super funds here. How much money does my employer have to contribute?